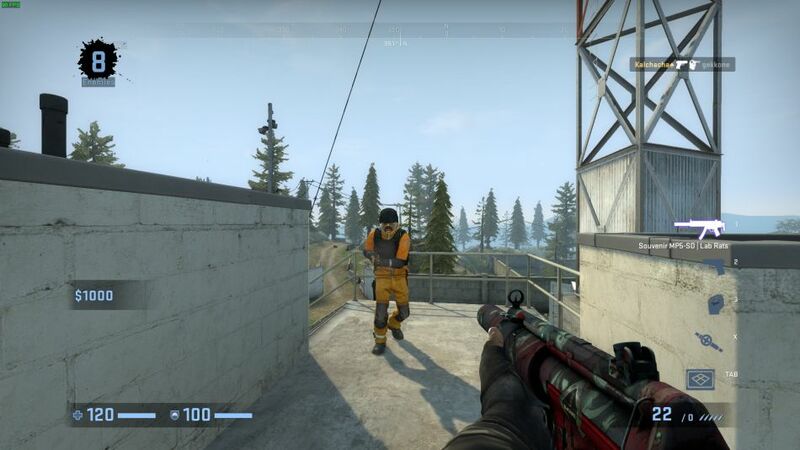 Following on from the tweak to Danger Zone to focus more on duos, Valve are still tweaking their Battle Royale mode in Counter-Strike: Global Offensive as well as the game as a whole. Firstly, for Danger Zone you should now see much better queue times for matchmaking. Before this patch, I could easily see queue times around 3 to 5 minutes (often the latter) even with a lot of people online which is not ideal and frankly that makes me (and no doubt others) get bored and look to play something else. Since this patch has dropped, I've played a good 30-40 matches and not a single one has hit even 2 minutes queue time (under 1 minute mostly now!) which is a pretty huge improvement. It really might not seem like much, but even if we just take the median of what I was waiting most of the time before around 4 minutes that really does add up fast so having that essentially cut in half (and often better) is awesome. Additionally, the "Recent teammates" tab in the menu will add in your current teammate (not just after games) so if you find them friendly you can add them as a friend or invite them to play with you right away which is pretty handy. Outside of Danger Zone, Valve also removed the Cobblestone map from competitive matchmaking and put Vertigo in with a few tweaks. One weapon also saw a tweak this time around, with the Zeus-x27 no longer able to kill people through a wall. So overall, it's not a huge update but it seems like quite a welcome one, especially if you play Danger Zone regularly. See the full update notes here and find Counter-Strike: Global Offensive free on Steam. Cool! I might wanna get into this again, never really clicked first time around. I havent played any CS much, so the weird bullet spray really makes me very handicapped <___< but you get used to it I guess. Nice, queue time was the biggest issue with DZ for sure. I just ended up playing comp since there was a better queue:playtime ratio. Some people to play in team there with mic? Someone knows how to not freeze with the panorama hud? When I press tab I get freeze, and when I try to chat it's freezing too. shotm7 Someone knows how to not freeze with the panorama hud? When I press tab I get freeze, and when I try to chat it's freezing too. i get that stutter too. Dunno why, but it turns frustrating. I wonder if it's making big box-office? GeoGalvanic Nice, queue time was the biggest issue with DZ for sure. I just ended up playing comp since there was a better queue:playtime ratio. I was in the same boat. Skill deltas were huge and I'd last 1-2 minutes in around before being taken out by someone with machine guns already, then get pushed back to queue for sometimes 5+ mins. Completely defeated the purpose of the mode. If MM is down to 1 min, I'm happy to give it another go and try improve my skills a little bit more this time. You're not the only one, not sure what their thinking was on this. I played it tons and since they did this....yeah not much. For such a game, being in a duo needs communication and random people really aren't good at that, especially when they don't speak your language. I really hope they bring back an actual Solo playlist for Danger Zone otherwise I likely won't play it now.